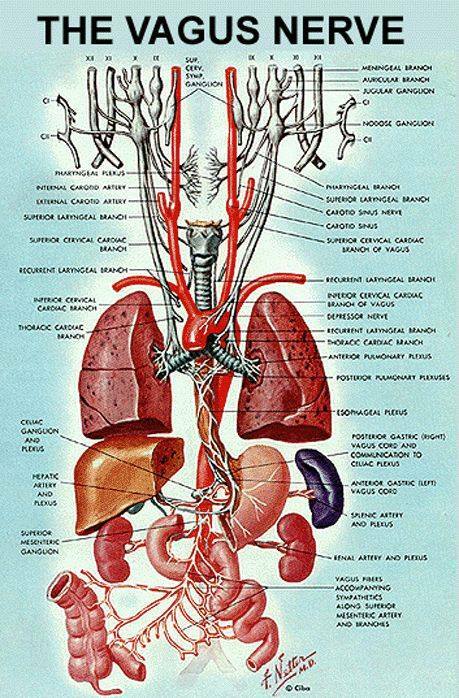 The vagus nerve (/ˈveɪɡəs/ VAY-gəs), historically cited as the pneumogastric nerve, is the tenth cranial nerve or CN X, and interfaces with parasympathetic control of the heart, lungs, and digestive tract. The vagus nerves are paired, however they are normally referred to in the singular. How does Kriya Breathing Heal the Vagus Nerve? "Of all the various functions of our autonomic nervous systems, from heart beat, perspiration, hormonal release, gastrointestinal operation, neurotransmitter secretion, etc., the breath stands alone as the only subsystem the conscious mind can put into ‘manual override’ and so it is through manipulation of the breath that we can recalibrate the entire system. Every emotion has an accompanying breath. The practices and breathing patterns taught by Andas & Mayana touch each emotion to eliminate stress and negative emotions. Breathing, combined with dynamic motion allows cellular, emotional and mental change. Regeneration of the body will be the next great science. We are starting here—now with Kriya Immersion. Kriya Yoga breathing practices touch and soothe each emotion to eliminate stress. Breath with wisdom allows cellular, emotional, and mental change. In the inner stillness we become aware of where energy is blocked in the body, and learn practices that release those blocks and allow free flow. Recent scientific studies have revealed that the Vagus Nerve (organ that governs our parasympathetic nervous system) when impaired, is responsible for all stress related dis-ease, disorders, and illnesses. Depression, Post Traumatic Stress (PTS), Irritable Bowel, Anxiety, Panic Attacks, Mood/Hormonal swings, Crohn’s, Fibromyalgia, Alzheimer’s, Obesity and more may be ameliorated with Kriya Yoga. 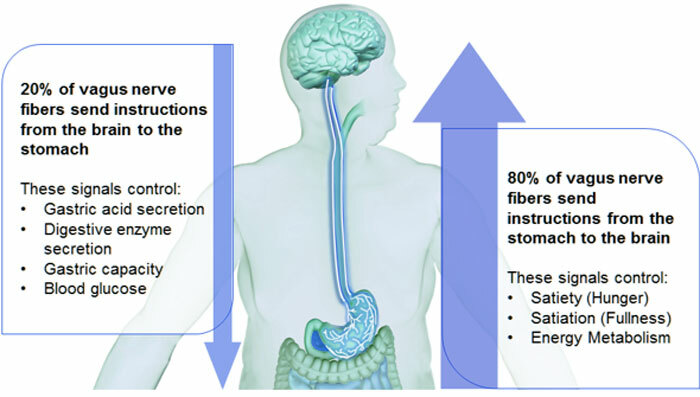 The Vagus Nerve takes messages from the gut to the brain. It also connects our energy body and physical form. These exercises, combined with wisdom and conscious intention, are the most important thing we can do for our health. True health comes to us as we breathe with awareness and embody our full self — knowing who we are and why we are here. Kriya Yoga harmonizes an individual’s physical, mental, emotional, and spiritual health. Kriya Yoga - for Veterans: PTS epidemic hits veterans hardest. The programming soldiers endure in boot camp and beyond create a specific set of behaviors designed for the battle field. Upon returning from service, veterans are not ‘deprogrammed’ to return to society and their family relationships. Kriya Yoga allows veterans to retrain their brains and clear the stress of their experiences, while supporting forgiveness and compassion for self as a way of life. Kriya Yoga - for Elders: After a lifetime of poor diet, toxic chemicals, trauma, surgeries, health misinformation and broken hearts… many Elders are stuck in destructive patterns of thought and habit. Breathing sessions with gentle movements allow Elders to enter a peaceful state of being while removing toxins and increasing beneficial neuro-transmitters and hormones. Kriya Yoga - for Youth: Imagination is key to a healthy life. Inspiration comes through breath and quietude. Electronic stimuli keep minds occupied to the point of disrupting body function and creating disease. Kriya Yoga gives minds a chance to ‘pause’ and allow inspiration and brilliance to shine through, while reversing the chemical imbalances.